In my town (Uppsala) there used to live a guy called Bo Bengtsson. He was, and still is, the best swedish speaker designer ever (maybe in competition with Stig Carlsson). I think he now lives in the US? I know he used to design speakers for Cello, and later on for Red Rose Music (for Mr. Mark Levinsson). Bengtsson is now working on new speaker technology in his own company Transmission Audio. I wish I could afford one of those speakers. 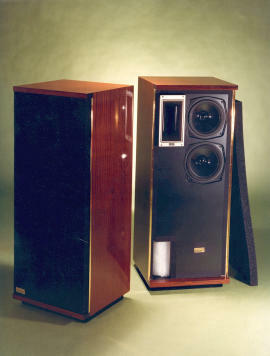 I own speakers made by Bo Bengtsson's former company Audio-Tronic, model CM3. 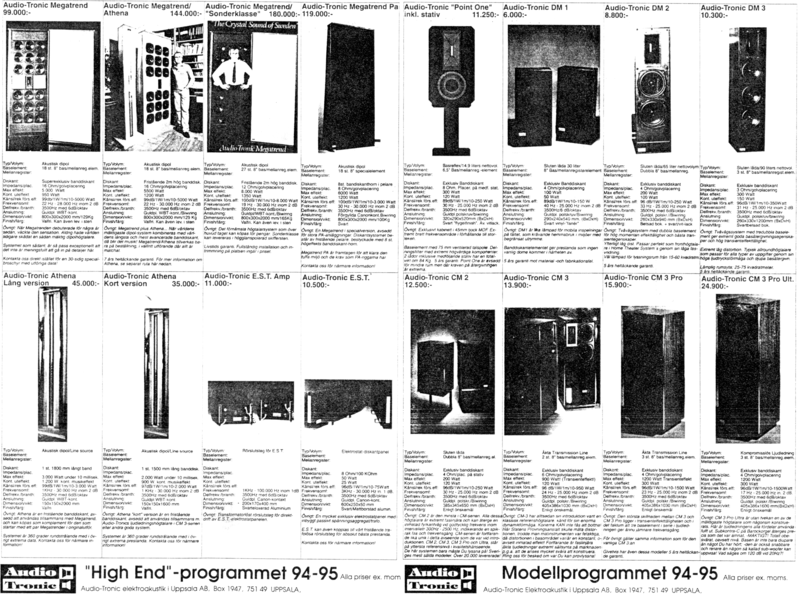 I scanned an old Audio-Tronic advert, available here as PNG. I had to scan with 300dpi in order to make it readable. It's about 2MB large. Especially note Bo standing beside the huge Megatrend speakers! Maybe it's time to form a fan club, "Audio-Tronic Sweden"? Content updated 10 March 2019. <URL: http://boralv.se/blog/?id=1090505681>. This server is able to calculate 54.3 pages like this per second. No computers were harmed in the making of this page. CSS Validator, HTML Validator.